MANHATTAN, Kansas – No. 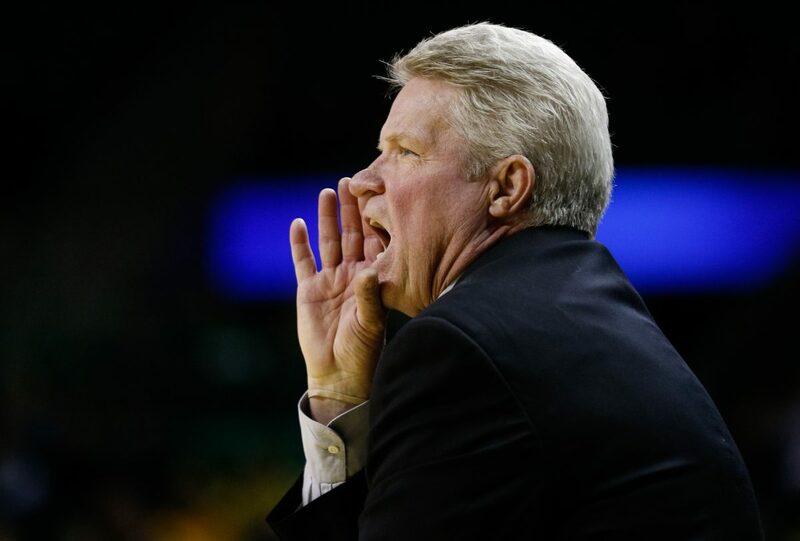 23 Iowa State (17-5, 7-3 Big 12) opened up the second half of Big 12 play with its fourth win in five via a 81-52 victory over Kansas State (13-9, 4-6 Big 12) Saturday at Bramlage Coliseum. Iowa State was up 10 points within the first four minutes of the game and was ahead by double figures for the entire second half of the contest. ISU bounced back from a 30 percent (6-of-20) shooting effort in the first quarter to shoot 48.7 percent (19-of-39) for the rest of the game. 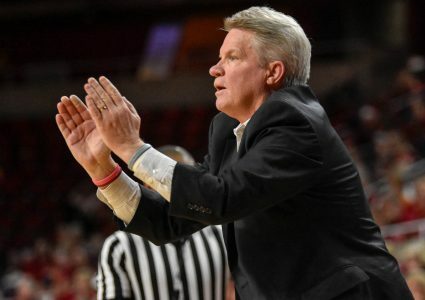 The Cyclones saw four players finished in double figures, led by 19 points from Bridget Carleton, 16 by Ashley Joens and 14 from Kristin Scott and Madison Wise. Scott finished with a double-double, grabbing 12 rebounds for her fifth career double-double. Iowa State’s recent run of strong first quarters continued, with ISU racking up 12 of the games first 14 points to get ahead by 10 within the first four minutes. The first quarter saw ISU get strong efforts from Ashley Joens and Madison Wise, as each finished the first 10 minutes with seven points, combining for three 3-pointers. Neither team’s shooting was in-form as both sides languished in the 30 percent shooting range. ISU was able to get back ahead by double figures on an Alexa Middleton 3-pointer to make it 26-14, which helped kick-start a 13-3 run to close the half and give Iowa State a 17-point advantage at the half, 34-17. The first possession of the second half saw Joens drain a 3-pointer to boost the Cyclone lead 20 for the first time. Joens was rolling to start the third quarter, draining three of four 3-point attempts to help the Cyclones maintain their advantage. 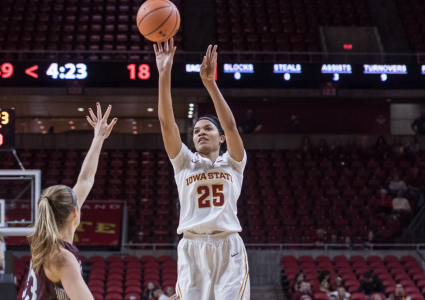 After just two points in the first half, Kristin Scott racked up eight points as part of an 11-2 run which brought the Cyclone advantage to 28 points at 60-32. The Cyclones’ aggressively attacked the hoop to close out the game, racking up an 8-0 run all on points in the paint to take the advantage to 70-43. The Cyclones have now scored over 80 points in seven of 10 league games this season. Madison Wise was the star of the first half for Iowa State, as 11 of her 14 points came in the first 20 minutes, seven in the first quarter. Wise hit four 3-pointers in the contest and also grabbed seven rebounds. Bridget Carleton had a typical stat-sheet stuffing day, finishing with 19 points, eight rebounds, four assists, two blocks and a steal. Kristin Scott posted her fifth career double-double with 14 points and 12 rebounds. The Big 12’s most efficient scorer was strong in that area again, going 6-of-10 from the floor, including 2-of-3 from 3-point range. Iowa State will have a bye in the midweek before returning to action next Saturday against West Virginia inside Hilton Coliseum. Tip between the Cyclones and Mountaineers will be at 6 p.m., with Cyclones.TV Powered by Mediacom televising the contest.